I have been on a book reading binge and giving my feedback to the authors. This is my first unsolicited feedback of two books by debutant authors. One of the authors has gone on to write few more books so it may be very late but as they say better late than never. 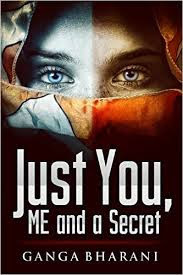 The first book is “You, me and a secret” by Ganga Bharani. This was on my list for a long time and finally I managed to read it. The book starts off with a very interesting premise of the protagonist waking up after a memory loss and trying to reconstruct her past life. The author builds up the plot and takes it to a climax where it all unravels. There are a few gaps in the plot and the climax is rather contrived and seems like an afterthought. There is a lot of promise in the plot and shows that the author will go far with time and experience. It is a love story, with thrill, crime, emotions but at the end the book leaves you wanting for a better finish that would have done justice to the initial promise. 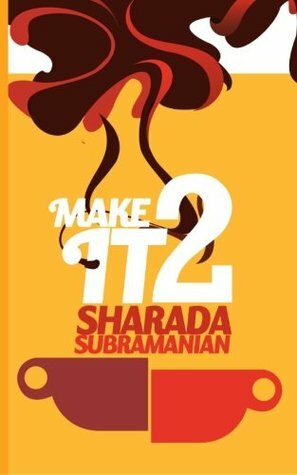 The next book is “Make it 2” by Sharada Subramanian. Tagged as a “Soft Erotica” novel it came with some expectations. Set in Chennai in contemporary times the story is about young professionals and their love story. It is a love triangle and has the hero in a dilemma stuck between two women. The plot goes downhill from there simply because of the weak characterisations. The women are supposedly strong but rudeness and repeating their sexual needs hardly denote strength. Also the confusions in the mind of the characters seem to indicate the confusion in the mind of the author. The reason why one woman leaves is never explained convincingly. The hero comes off as a weak individual when juxtaposed with the strong women in his life. The women are modern, in control of their lives, are clear about their sexuality but confused about basic things in life. The language used is colloquial and while it brings levity it appears contrived at times. The strongest woman in the story appears to be the mother of the hero and I am not sure if it was intended. There is an instance where the friend of the hero wonders if the hero was disappointing in the sack and that was the only clear explanation for the closure the hero wanted, this closure is the climax of the novel. Tighter editing and rework is needed for a better end result. The book is a light read and will have its own set of fans but it will need more work to appeal to everyone. My best wishes for the author's future endeavours.